The Bible teaches us in 1 Timothy 4:8 that “physical training is of some value, but godliness has value for all things, holding promise for both the present life and the life to come.” With this lens, Salem’s Game Ready. Life Ready. sports curriculum is designed to not only build a solid foundation of physical movement, sport understanding, and love for the game, but incorporates lessons from the Bible that shapes athletes’ character and faith as they live that out in sports and life. Our three sport program—soccer, basketball, and T-ball—is designed for children in preschool (age 4) through first grade. Our curriculum developer and Sports Ministry Director, Shelli Streeper, has 14 years of professional youth coaching experience, owns a sports coaching and training business, served as the Director of Coaching for 10+ years in traveling soccer clubs, has coached all high school levels in various sports, was a former gym teacher and collegiate soccer player, and holds numerous coaching licenses and certifications including a National Youth Coaching License. Given her passion for incorporating faith and sports and for fostering a love for sports at an early age, she has found her niche in Salem’s Sports Ministry programs! Salem’s Game Ready. Life Ready! soccer program is a developmental soccer program for Pre-School (2nd year), Kindergarten, and First Grade youth. Each practice session will consist of skill development activities and progress to final gameplay. Using our Game Ready. Life Ready! faith-based curriculum, athletes will also learn to shine God’s love on and off the field. 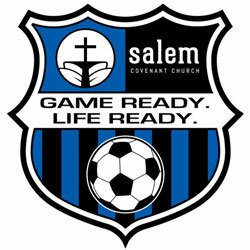 Each player will receive a soccer jersey (if they don’t yet have a Salem jersey) and participation award. The soccer season runs in October. Basketball is a fun sport to play because it has relatively few rules, you can play it year round—both indoors and out—and it’s equally fun to play or practice individually or with a team. Early exposure to basketball will help improve a player’s hand-eye coordination and develop their understanding of both offensive and defensive roles. 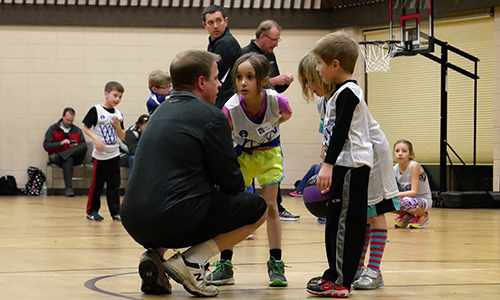 This program is one of the few available that is equipped to teach young people through age-appropriate practice sessions and has shorter hoops designed for this age group. The basketball season runs during the winter. This preschool program is designed to teach children various ways to move their bodies and basic sports skills like throwing, catching, kicking, and dribbling (with feet and hands). These skills are great building blocks for future sport learning and a fun way to stay active! 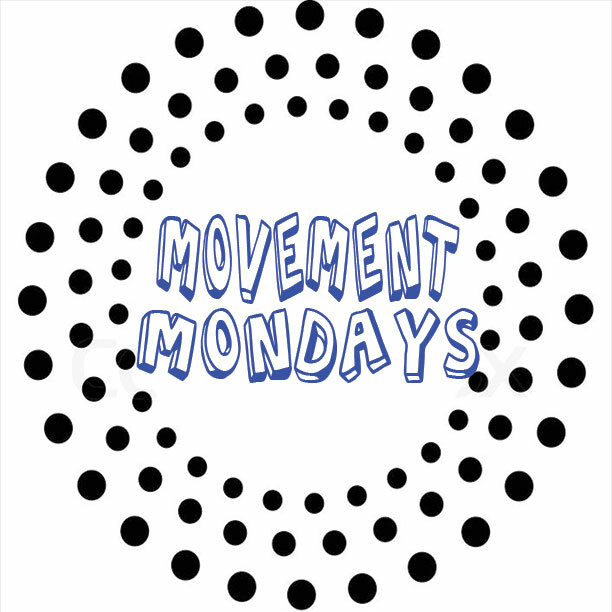 Students meet from 11:30 a.m. to 1:00 p.m., share a bag lunch meal together, and then play some movement games and activities. Please bring your own bag lunch each week. The cost per participant for the Winter Session is $65 and includes entry fee and transportation to field trip sites. Additional Jam Hop waiver will need to be completed. Eagle’s Nest Field Trip Days—Wednesday: January 23 from 11:30 a.m.-2:00 p.m.
Jam Hops Field Trip Days—Mondays: January 14 and February 11 from 11:30 a.m.-2:00 p.m.
Register here (if you do not yet have an active KidCheck account, you will need to first create an account and then click the link to effectively register for this program). You will receive an email update one week prior to the start of the first Movement Monday session. If baseball is America’s favorite past time, you’d better start your young one out early playing a little T-ball! Given the complex structure of this game (force outs) and the precise skill and technique needed for getting players out, we use a gradual approach to learning how to play. We begin the season teaching kickball and the format of “pitcher’s hand” to get outs. As players understand these concepts we move into more of the traditional teaching and coaching of T-ball. This method has proven successful in overall game understanding in both gym classes and T-ball leagues. Parents are also asked to participate alongside their child so that throwing and catching is an effective learning experience and accelerates the skill development of each child. Each T-ball session, players will learn how to properly throw, catch, and field, run bases, and bat. Each player will receive a jersey and participation award. Practices: Thursdays, April 4–May 16 from 6:00–7:00 p.m.
No practice on April 18. The registration fee is $70. Cost includes a T-ball jersey and participation trophy. To register, click here (if you do not yet have an active KidCheck account, create that first by clicking here and then click the link to register for the T-ball program).